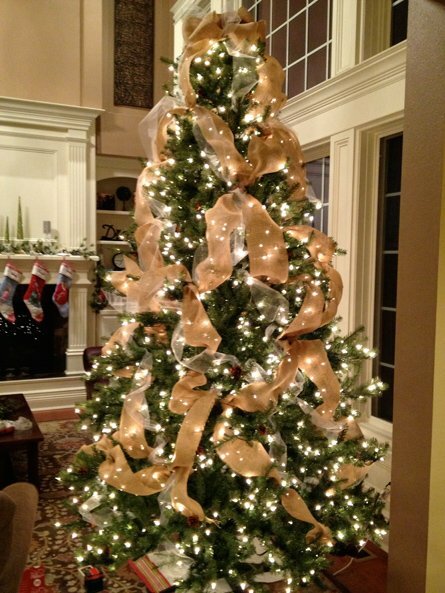 A well-trimmed tree with lush branches decorated with beautiful accessories embodies the real spirit of Christmas. 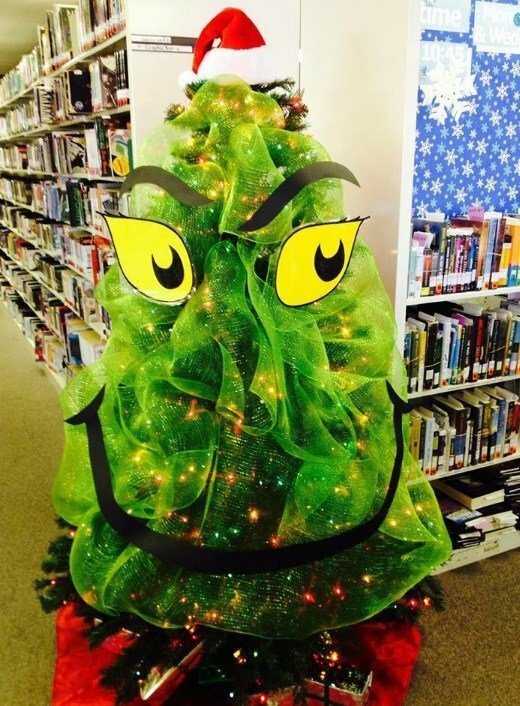 However, once the fun-filled festival is over the pine needles lying all over the floor dampens the enthusiasm. 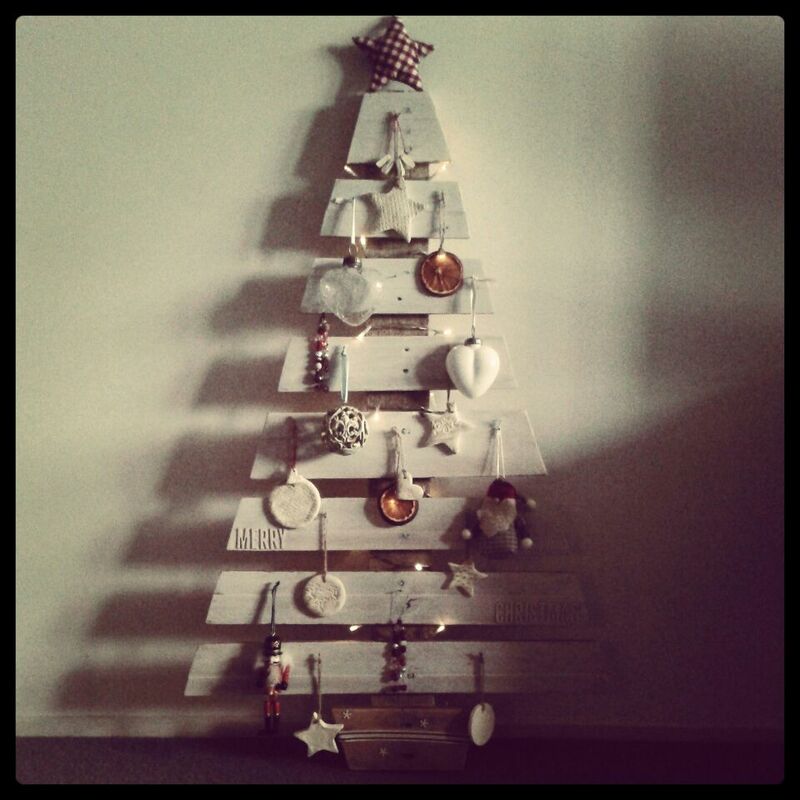 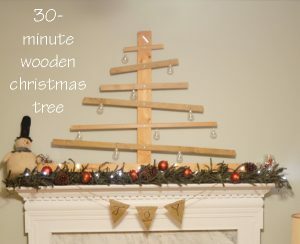 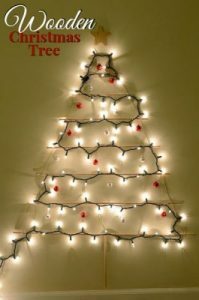 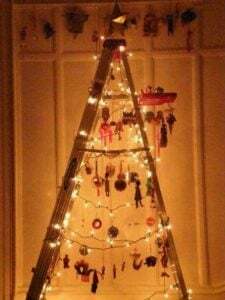 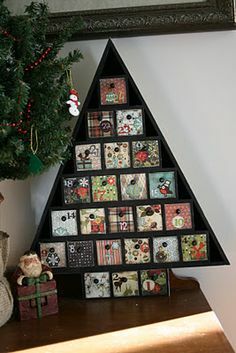 A wooden Christmas tree is far more convenient and economical besides a delightful winter DIY project. Keep reading to know more about this interior decoration craft. 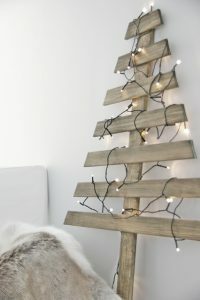 A rustic traditional Christmas tree made from reclaimed wood with an open design makes it easier to spot all the pretty ornaments from a far distance. 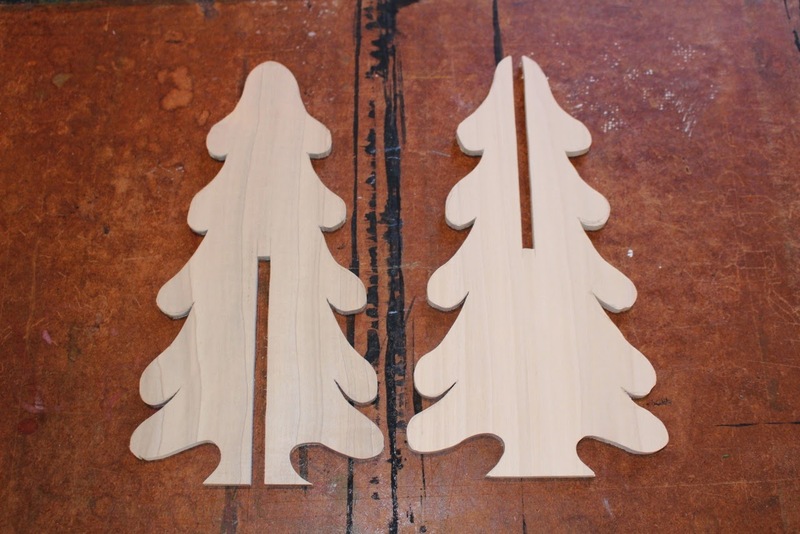 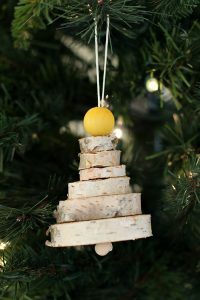 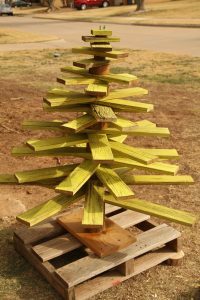 This one is an easy woodworking project for a white Christmas decoration sans the clean up or watering. 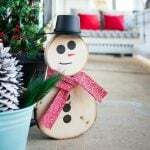 Purely decorative, these eco-friendly wooden trees can be placed at the entrance of your house to welcome your guests for the big party. 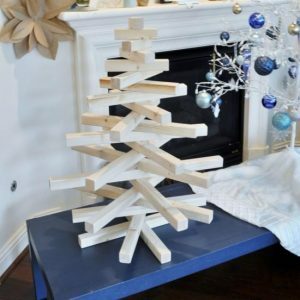 While the day of Christmas is all about merrymaking and celebrations counting the days until its arrival can be made as exciting and fun with a fully decorated tree affixed with an advent calendar. 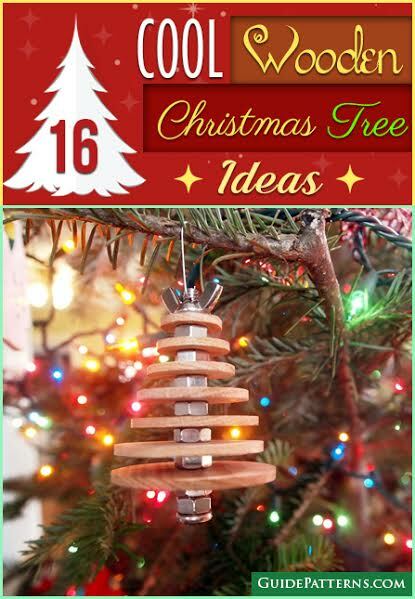 This fun Christmas tree bauble describes an interesting craft that can be tried out by your kids under supervision. The colorful beads undoubtedly look chic, but you can opt for little glittery stars or small shiny balls. 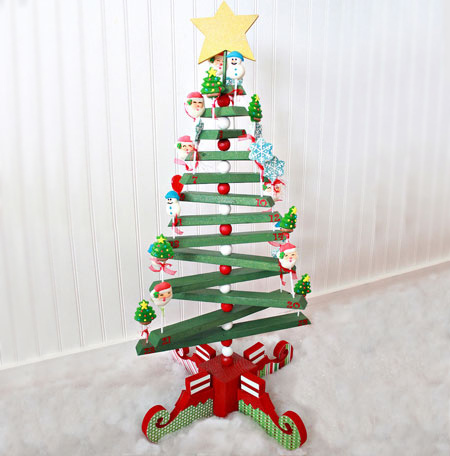 A green painted wooden tree crafted from few wooden slices and a PVC pipe displaying a wide assortment of cute ornaments in tuned with the jolly colors of Christmas. 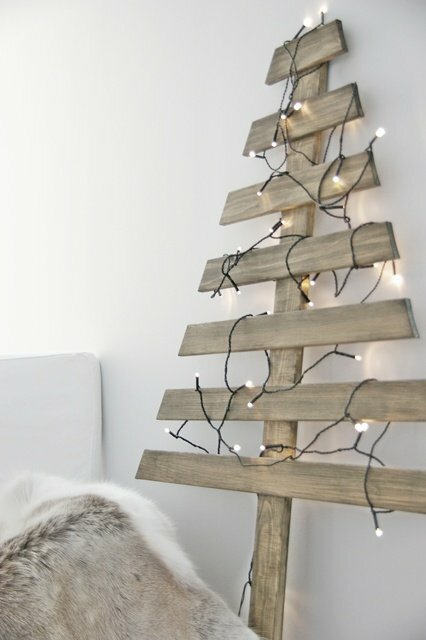 Flaunt your crafty skills with this plain wooden tree resting against the wall. The tiny lights hanging from the branches brighten up your holiday nights, adding a dash of glitter. Save floor space with a full-bodied Christmas tree snuggled in one corner of the house. 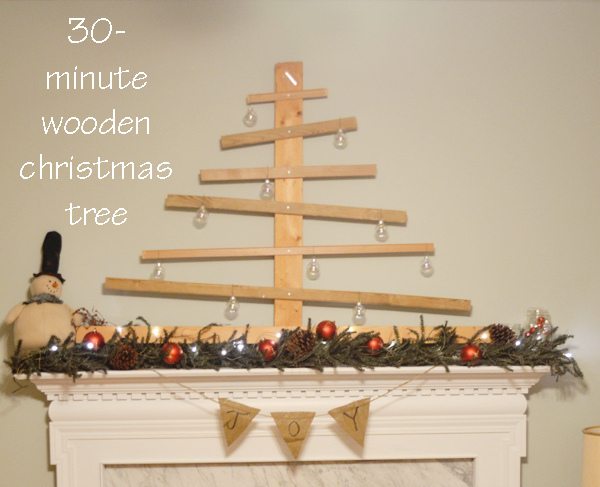 Apply some wood stain to get the vintage look. 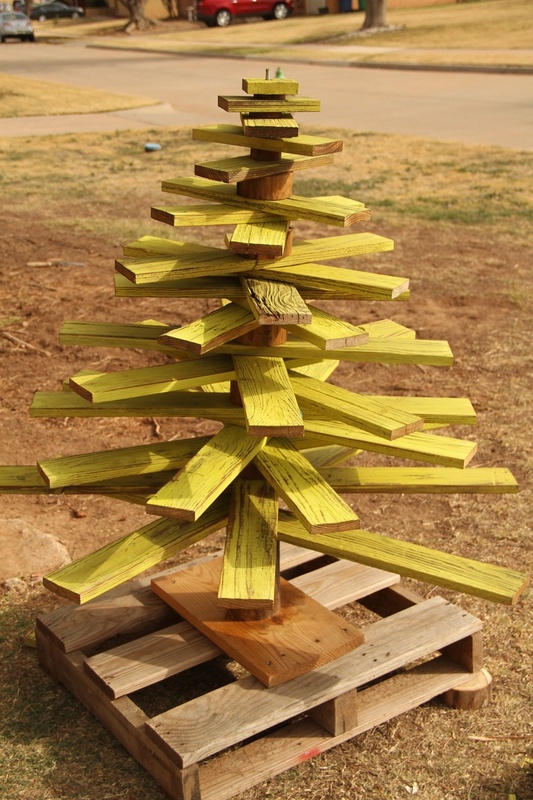 Metamorphose discarded wooden pallet into a folksy Christmas tree with a gleaming star at the top to ring in the festival. 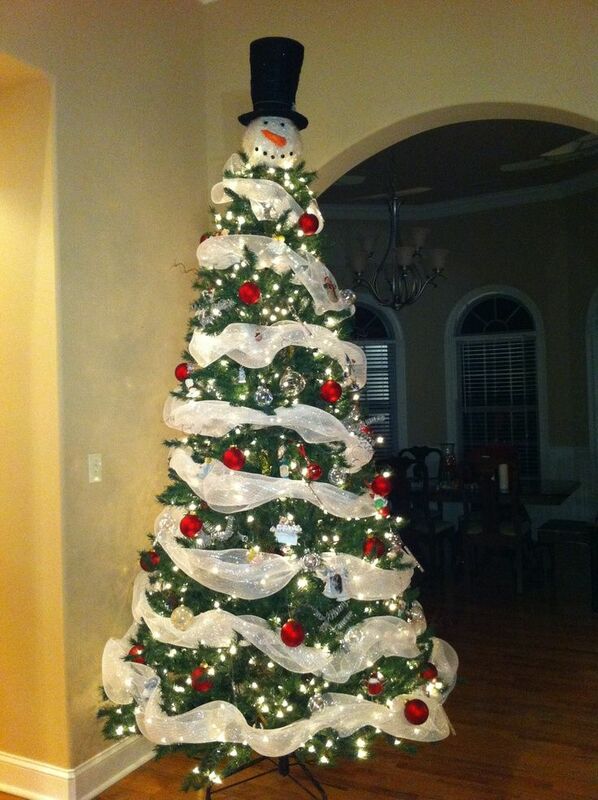 A heavenly Christmas tree dressed with ornaments that will surely leave your guests smitten. 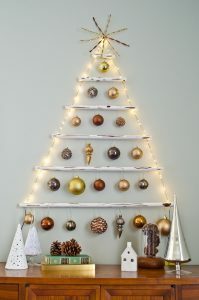 Overflowing with glitz and elegance here is an alluring Christmas decoration craft for bringing your dull walls into the spotlight. 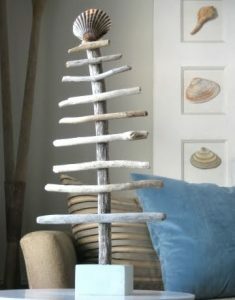 A one-of-a-kind handmade beauty used as a tabletop accessory or for decorating the front porch of your house. 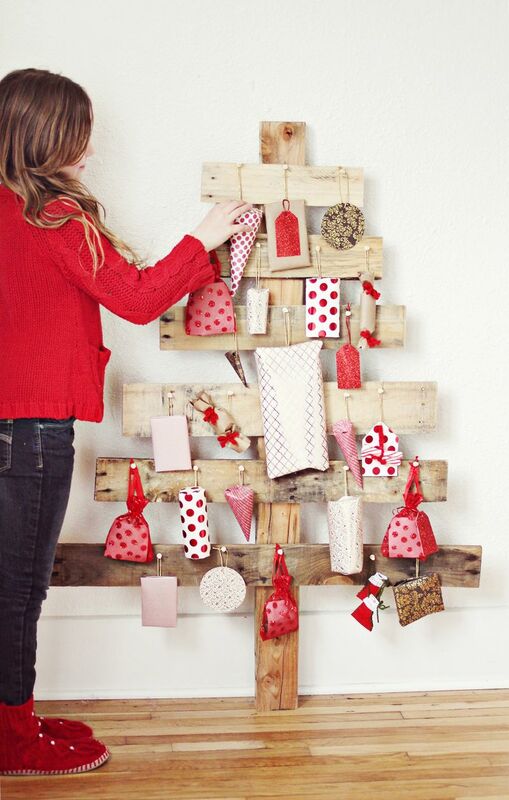 Add some sophistication to the tree with a combination of gleamy adornments and giant polka dot stockings for a vibrant color scheme. 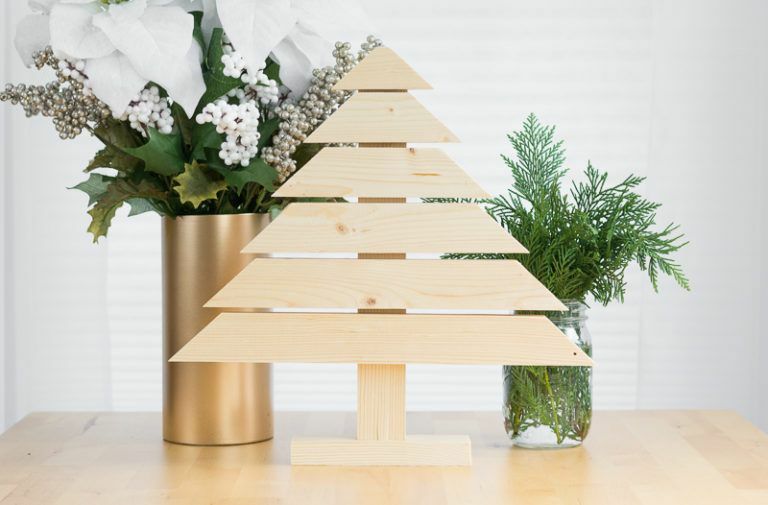 These inspirational Christmas DIY decoration crafts go well with any modern decor. 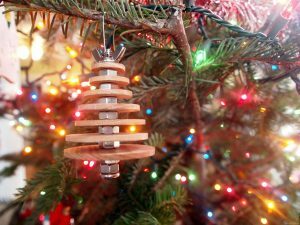 Keep the sturdy tree under your bed or in the loft during the offseason for recycling it year after year. 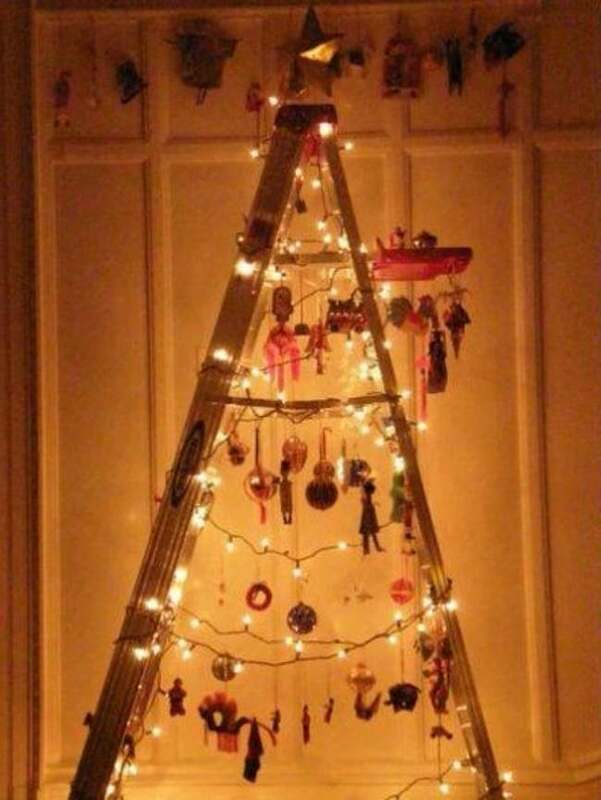 Indeed, this is a creative and unique way of starting the holiday season.